The affordable housing woes in Malaysia is predicted to be worse due to demographic factors and current income trends. According to the Bank Negara’s Financial Stability and Payment Systems Report 2016, the steep appreciation of property prices in Malaysia since 2012 has outpaced the rise in income levels. The problem worsened between 2012 and 2014, which clearly reflects the imbalances in the supply and demand of property in the country. The central bank highlighted a few reasons for the deteriorating state of affordable housing in the Malaysian property market. 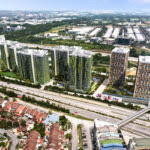 The prevailing median house prices has risen beyond the reach of most Malaysians, amid diverging expectations between households and developers. “The issue has been compounded by the fact that the distribution of new housing supply has been concentrated in the higher-priced categories,” said the report. This was evident in the trend of higher property launches in the price categories above RM250,000 in that period. The number of new affordable housing units for households earning the median income (below RM250,000) was fewer by 16,200 units per year since the 2008 to 2009 period. Furthermore, the overall housing supply also could not meet with the increasing demand – with the average supply of 85,000 new units versus the formation of 118,000 new households. The central bank added that the effect of the supply shortfall on housing affordability was exacerbated by the slower increase in household incomes (12.4%) relative to house prices (17.6%). “In 2014, the shortage of affordable houses was estimated to be 960,000 units. This gap is evident across most states, with Sabah and Sarawak having the highest deficit, accounting for 50% of the total shortage in Malaysia. To address the shortage, the central bank said a carefully-designed strategy of policy is required for the property market to ensure that it is able to accommodate households of all income groups. Tackling the issue from the supply side, Bank Negara called for both the government and the private sector to commit to working together by setting a central agency to consolidate the provision of affordable housing and work as a central repository. Housing can be made more affordable by reducing development costs through the implementation of cost-saving and productivity-enhancing technologies to increase the speed and scale of delivery of affordable housing projects. On the other hand, from the demand side, the central bank recommended the development of the rental market to close the affordability and relieve some of the pressure on the government to build all of the affordable housing needed. On top of these measures, there should be more innovative schemes in place to fund the delivery of affordable houses. “As for end-financing, as in other countries, the central bank has introduced macro-prudential measures to deter speculative activity in the housing market and to avoid over-borrowing beyond one’s means.